[Rumor] The new entry in our source list has sent us a pretty interesting report on AMD’s plans. Since the source is as yet unauthenticated by us, I am going to tag this one as a rumor, though the report does make sense and seems quite probable. 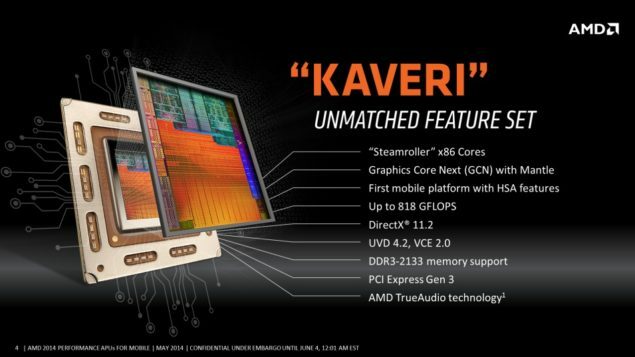 Bitandchips.it claims that the Kaveri Update is coming in 2015 and there won’t be a Carrizo APU for desktops for quite some time. The above roadmap comes entirely from this one leak source. So I shouldn’t even need to tell you to take the above with a pinch of salt. However, if one proves true, we should be able to safely assume all others are true as well, since the origin is the same. That’s it for this rather short update.